Dr. Marc Goldenberg offers a variety of services including braces and Invisalign® to correct problems such as crowding, crossbite, open bite, protruding teeth, teeth that erupted in the wrong place, gaps between teeth, and jaw misalignment. Dr. Goldenberg treats adults, teenagers, and children as young as 7. 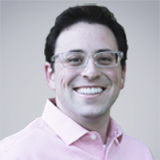 Dr. Goldenberg earned his Master of Science in Dentistry with a Certificate in Orthodontics at the Center for Advanced Dental Education at Saint Louis University in Saint Louis, Missouri, and his Doctor of Dental Surgery degree from the University of Maryland Dental School in Baltimore Maryland. Dr. Goldenberg has helped many children smile by volunteering his time to provide free oral health screenings, prophylaxis, sealants, and dental care through Habitat for Humanity and Give Kids a Smile. When he’s not fixing smiles, Dr. Goldenberg enjoys traveling, running, reading, and spending time with family. Zahid Juma, DDS, and his friendly team look forward to helping you smile, no matter how long it’s been since your last visit. He provides preventive, restorative and cosmetic dental services including cleanings, fillings, extractions, bone grafting, root canal therapy, crowns, bridges, dentures and partials, dental implant restorations, laser therapy, oral cancer screenings, teeth whitening, and clear aligners (Invisalign® and ClearCorrect™). In addition, his office can typically accommodate dental emergencies on the same day. Dr. Juma provides family dental services to adults, teenagers and children starting at age 6. He earned his Doctor of Dental Surgery degree at the New York University College of Dentistry and his Bachelor of Dental Surgery degree at Manipal College of Dental Sciences. He is a member of the American Dental Association, the Academy of General Dentistry, and the American Academy of Cosmetic Dentistry.